The wedding cake for Meghan Markle and Prince Harry will have an "ethereal" taste and an unusual display. Master baker Claire Ptak said Friday that the three-part layered lemon and elderflower cake would be presented in a non-traditional way. 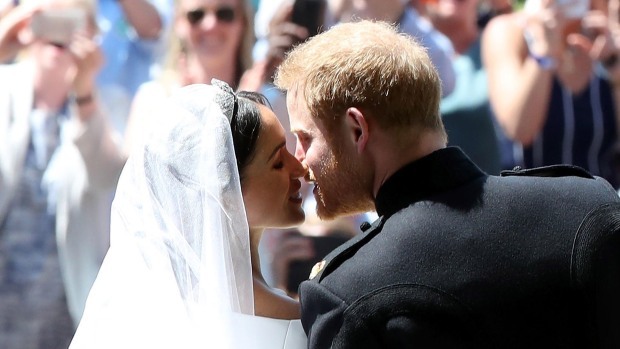 She said she's not ready to reveal the design ahead of time and that the style was approved by Harry and Markle, who will wed Saturday at Windsor Castle. Ptak has been working with her team of six bakers for the last five days in the oversize kitchens of Buckingham Palace. She is not skimping on ingredients: some 200 Amalfi lemons will be used, as will 10 bottles of Sandringham Elderflower Cordial, which is made with elderflower from Queen Elizabeth II's Sandringham estate in Norfolk.